Solid Fuel, thoughts and observations. Solid fuel is an important part of my bug-out /get-home bag. In a pinch you can boil water without having to gather wood and I don't have to carry a larger, heavier gas (propane, butane, white, etc.) stove. They make it much easier to get a fire started especially if you can't find any good tinder or dry wood. Below are a few types of fuel that I have used for which I will give you my experience and opinion. Keep in mind that there are other types of 'solid' fuels available and you can make your own version out of cotton balls and petroleum jelly. I'll start off by saying that Esbit is my preferred fuel tablet. Having used all of these different types of fuel I can easily say that Esbit is the superior product. 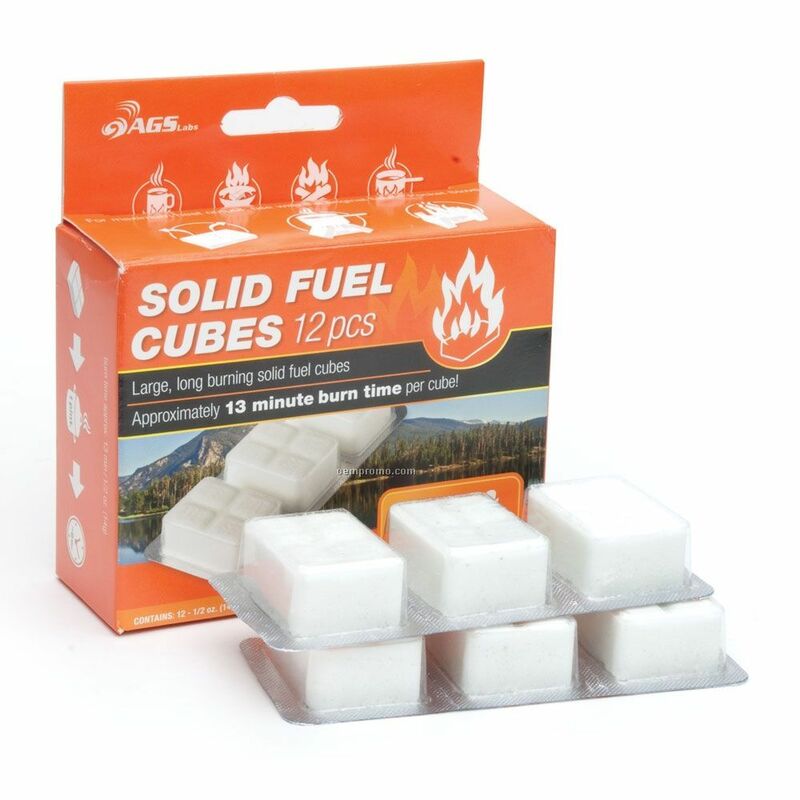 It burns the hottest, its the safest, and is the most versatile solid fuel. It burns clean and is easy to light. It can be used to boil water, as a heat source or fire starter. They are each individually wrapped which is a plus. Hexane tablets are my second choice. They burn hot andclean but are not quite as easy to light as the Esbit fuel. My biggest concern is the potential health risks. They are made with formaldehyde and ammonia. If they are accidentally swallowed by a child, or even held with wet or sweaty hands they will degrade into formaldehyde which is very dangerous. My kids know no to eat them but it's still a concern. The Esbit fuel is not safe to eat either but I don't believe that they are as enticing as these candy looking tablets. Esbit tablets also have a 'fishy' smell to them which should make them seem less edible. Don't worry, they don't stink while burning. Trioxane fuel is the least expensive of these four options, however it does not burn nearly as long as any of them. Trioxane burns hot and clean and lights with a spark whereas the others require a flame to light directly. This makes it better as a fire starter than the others. Because it does not last long it does not work as well to boil water but rather works best to warm an MRE which is what I believe it was designed for. Once you open the foil package it will dry out/evaporate. I also found that it left a residue on my hands that was difficult to remove. This gel fuel is alcohol based so essentially it is 'Sterno' in a packet. It lights fairly easily and burns clean but my problem with the gel is that it can be messy to work with. It is heavier than the other fuels and I am concerned that there is a potential of it leaking in my pack. Also, you'll need another bag or container to hold the leftover fuel. Overall, Esbit is easily the superior fuel for me. I use it along with the collapsible Esbit stove which makes it very easy to carry and the tablets store safely inside. Please note that all of these products require good ventilation and are not for use indoors. Are Real Estate bubble conditions possible?